War is war, and love is love, and in each the practical man inclines to demand from his fellow-workers the punch rather than a lofty soul. A page-boy replete with the finer feelings would have been useless in this crisis. Albert, who seemed on the evidence of a short but sufficient acquaintance, to be a lad who would not recognize the finer feelings if they were handed to him on a plate with watercress round them, promised to be invaluable. The Rocky Mountains, that traditional stamping-ground for the heart-broken, may be well enough in their way; but a lover has to be cast in a pretty stern mould to be able to be introspective when at any moment he may meet an annoyed cinnamon bear. In the English village there are no such obstacles to meditation. It combines the comforts of civilization with the restfulness of solitude in a manner equaled by no other spot except the New York public library. If you ever want to impress your friends at dinner, here is a fact you can fling at them. Norn is an extinct North Germanic language that was spoken in the Northern Isles of Scotland. Walter Sutherland, who lived in the northernmost house in the British Isles, near the present day Unst Boat Haven, died in 1850. He was the last known speaker of Norn, although there were reported to have been some on the island of Foula who survived him. "What did happen? You must remember I couldn't see a thing except your back, and I could only hear indistinctively." Maudie, accompanied by perhaps a dozen more of London's millions, added herself to the audience. These all belonged to the class which will gather round and watch silently while a motorist mends a tyre. They are not impatient. They do not call for rapid and continuous action. A mere hole in the ground, which of all sights if perhaps the least vivid and dramatic, is enough to grip their attention for hours at a time. They stared at George and George's cab with unblinking gaze. They did not know what would happen or when ti would happen, but they intended to wait till something did happen. It might be for years and it might be for ever, but they meant to be there when things began to occur. "I dare you to give me permission to circulate this story up and down California Street! Yes, sir, I dare you - and you aren't game! Why, everybody would be cheering for me and laughing at you, and you'd get about as much sympathy as a rich relative with arterial sclerosis." 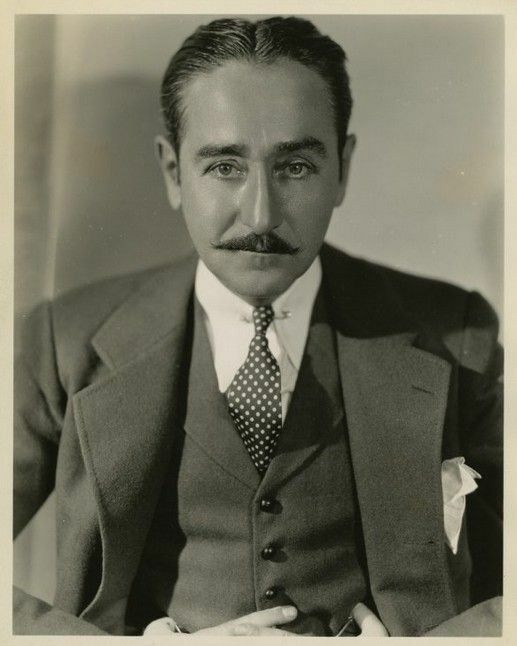 Actor Adolphe Menjou was undeniably a natty dresser. That single attribute was probably the one most identified with his name. The extent to which that is true is revealed in the fact that he was voted the Best Dressed Man in America nine times.